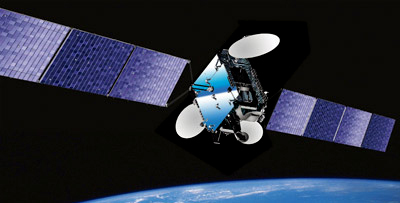 Telecommunications satellite operator Nilesat Co. of Egypt has selected Thales Alenia Space of France and Italy in May 2008 to build the Nilesat 201 satellite, which is scheduled to be launched in early 2010 aboard a European Ariane 5 rocket. The Nilesat 201 satellite, to be launched into Nilesat's 7 ° West slot, will be a Thales Alenia Space Spacebus-4000B2 platform and is expected to weigh 3,200 kilograms at launch and deliver 5.7 kilowatts of power to the payload. It will carry 28 Ku-band transponders and four transponders in Ka-band for direct-to-home television, radio and data-transmissions in the Middle East and North Africa.